Non sport-specific funding is usually open to a wide range of organisations. The grants listed here are some of the main grants, both small and large, for sport and physical activity. 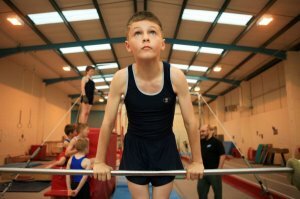 Sport England's Small Grants Programme still focuses is on people aged 14 years and above. However, the fund now aligns to Sport England's new strategy, 'Towards an Active Nation'. A wide range of organisations can apply including sports clubs, local authorities and community organisations. Grants available are between £300 and £10,000 for up to 12 months of activity. Total project costs must not to exceed £50,000. 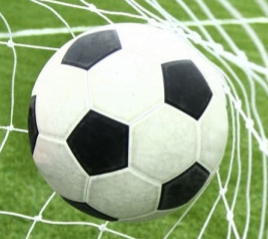 Projects must focus on at least one recognised sport and must be for new or additional activity. Examples of the type of expenditure which are eligible includes non-personal sports equipment, coaching costs or other sessional workers, training staff or volunteers, transport, venue hire and volunteer expenses etc. Cash 4 Clubs is a sports funding scheme which gives clubs a unique chance to apply for grants to improve facilities, purchase new equipment, gain coaching qualifications, and generally invest in the sustainability of their club. There is one top prize of £10K, with smaller awards of £500, £750 and £1,000 are available. Sports clubs can apply. For details click here. Any sports club can apply as long as they are registered with their sports' National Governing Body or local authority. The Central Social Recreational Trust is a small charity offering grants of up to £1,000 for clubs affiliated with a NGB working with young people below the age of 21. The grant can support equipment used by club members and the maintenance of property if it is owned by the club or has a long lease. The Trust will only pay suppliers directly. Therefore, it is important to get written quotations. Click here for further information about the sort of projects they can support. Youth Services providing a social and community service. If you are looking to raise funding for your club, school or community project, this is a great way to get your members, supporters, friends and family to help. They can help you raise money by simply shopping online through easyfundraising. It doesn't cost you a penny extra, when you shop through easyfundraising. The site works like a cashback website, with the cashback being accrued for the cause / project of your choice. Register your club, group, school or PTFA with easyfundraising. Then encourage your members and supporters to use the easyfundraising website when they shop online. The shops and services give commission for their purchases. This is then turned into a donation to give to your cause. Thousands of shops and services including utilities, holiday and insurance companies are registered, so there is plenty of choice when you go shopping online.